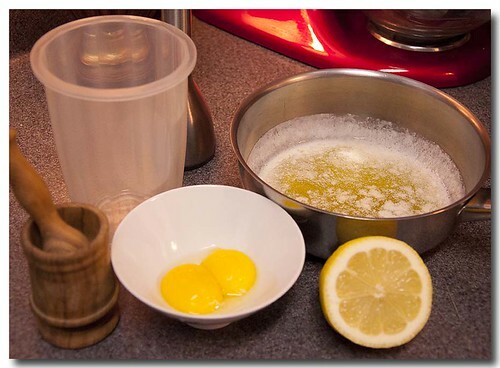 The ingredients are 2 egg yolks, the juice of half a lemon and a stick of butter, melted. After the hollandaise was made I added a little powdered aleppo pepper. Cayenne or black pepper can be added also. After I melted the butter I let it cool to room temperature. 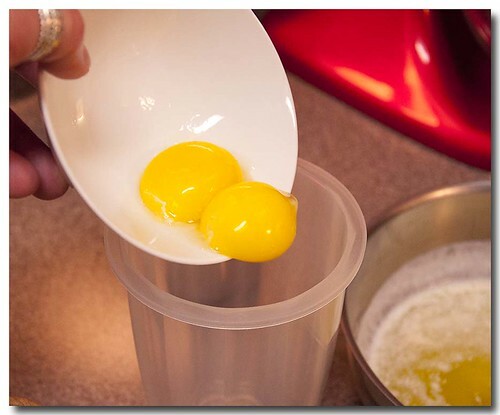 I was concerned that if the butter was too hot it would scramble the eggs because I was dumping all the ingredients in together, rather than drizzling the butter into the egg yolk in a running blender. 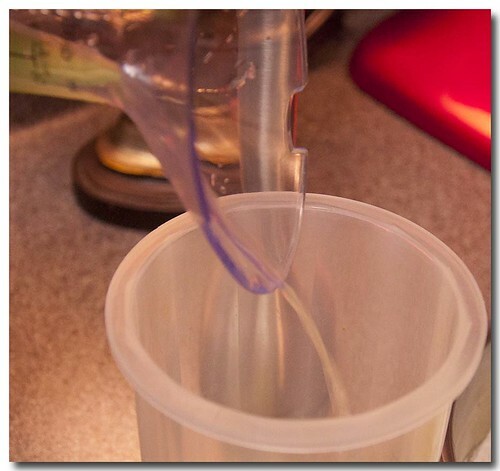 I also stirred the melted butter very well before adding. 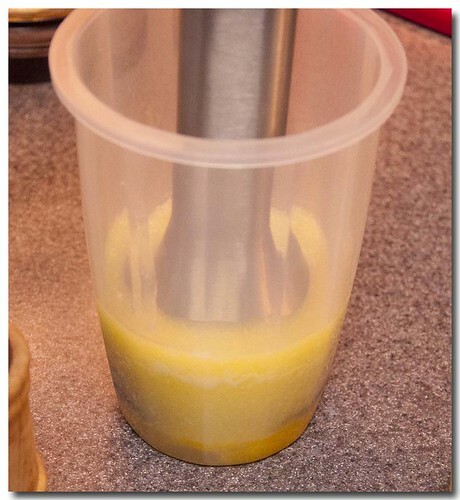 Place the immersion blender into the butter mixture and turn it on. 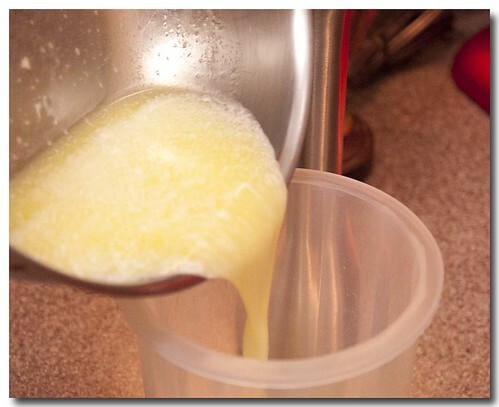 Walk the blender up and down in the butter mixture until the butter is incorporated. 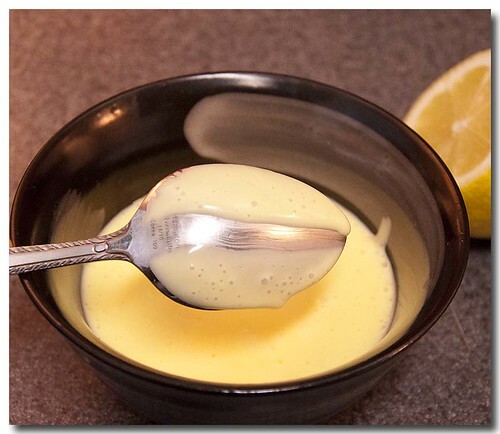 I dipped the back of a spoon into the sauce to show the thickness of it. 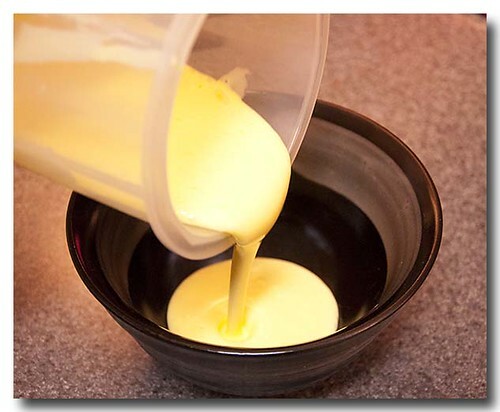 So, how's that for a quick easy hollandaise.